An education is vital to the process of ensuring our orphans and vulnerable children have a chance for a much better future by breaking the cycle of poverty. Faith’s Orphans Fund pays for all school and examination fees to allow the children the best opportunity to succeed in this aspect of their growth and development. 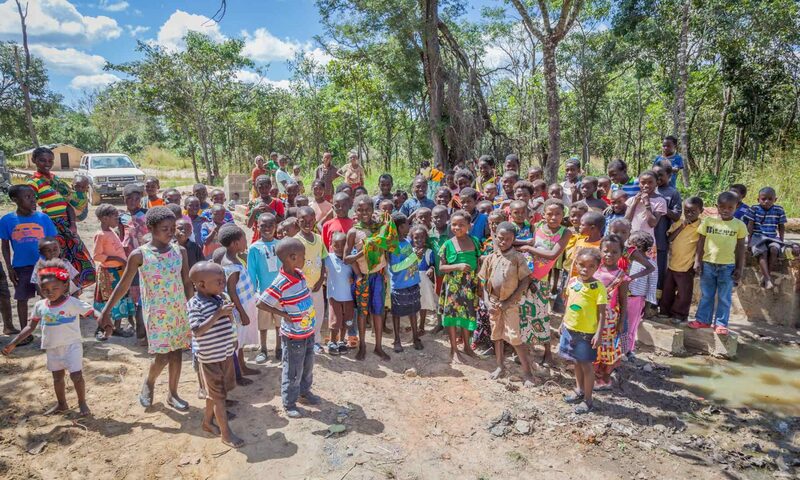 There are already more than 4100 orphans and vulnerable children in 24 communities within the Copperbelt and Chingola/Solwezi areas that are currently receiving this financial assistance. 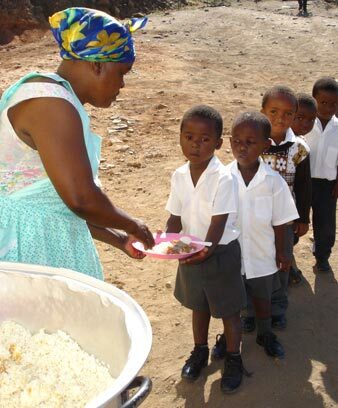 Each child has the opportunity to receive an education from grade 1 to grade 12 with some children receiving assistance to attend a school/college of higher education. Each year, 100 students from the 24 communities are given the opportunity to attend Teen Missions Camp in December. For five weeks, the young adults will learn new skills such as bricklaying, plumbing, chicken and rabbit rearing, while fellowshipping with other teens from various centres. Teaching from the Word of God and training in stewardship and evangelism rounds out the life-changing experience for these teenagers. The value of this training is multiplied as the students that attend Teen Missions share their learning in their Centres so that all may benefit. 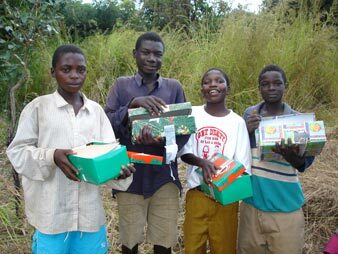 Through the Samaritan’s Purse Shoe Boxes, more than 4100 orphans and vulnerable children receive the gift of a shoe box at Christmas to bring a demonstration of love to each child. The costs associated with this project are for transportation of the Shoe Boxes within Zambia and for training of our students at the Skills Training Centre who will assist the distribution. As each child also receives a colourful picture book explaining the meaning of Christmas and the plan for salvation, the training our students receive helps a child to understand what they are seeing in the picture book. Twice a year, good quality, new clothing (in many cases hand made) is collected in Cambridge, Ontario for Faith’s Orphans Fund. The collection and packing of the clothing is completed by volunteers at no cost. 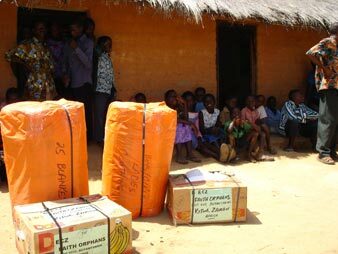 However, there is a cost to ship and distribute each box to rural Zambia. 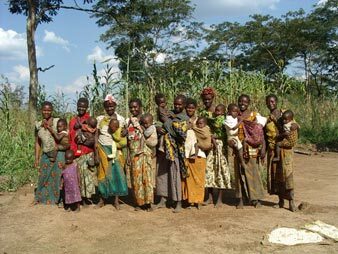 Each community registered with FOF is required to have several ‘Implementors’ who oversee the welfare of the orphans and ensure the required programs are conducted within the community they represent . 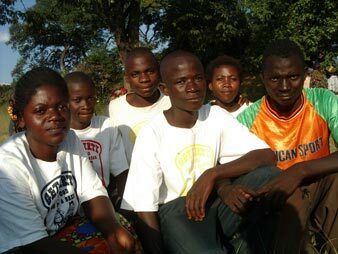 Each year, the Implementors receive week long training seminars at our Skills Training Centre in Kitwe to advance the care of the orphans and to facilitate the improved growth and development of the whole community.